We are located at 510 N.E. MLK Blvd, directly across from the southern end of the Oregon convention center, in a spacious renovated building with adjacent parking. While our adoptable dogs are playing in daycare or enjoying a walk on the waterfront with one of our many dedicated volunteers, our cats are playing and lounging in their sun filled, communal cattery which is open to the public during all operating hours. 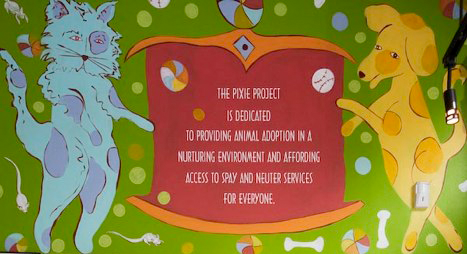 All of the animals in the Pixie Project adoption program are spayed or neutered, vaccinated, micro chipped and temperament tested to assure that they are good candidates for adoption.